“I don’t know what is wrong with the young people, that they are killing each other,” <br><br>^^^ That right there is the problem. The disconnect that elected officials, law enforcement and many in the community have in regard to young people and a fundamental lack of understanding how years of neglect, strong arm tactics and disastrous polices created this environment and the crime/murder epidemic we’re experiencing today. You reap what you sow or as Malcolm said chickens are coming home to roost. ^^^ That right there is the problem. The disconnect that elected officials, law enforcement and many in the community have in regard to young people and a fundamental lack of understanding how years of neglect, strong arm tactics and disastrous polices created this environment and the crime/murder epidemic we’re experiencing today. You reap what you sow or as Malcolm said chickens are coming home to roost. Like this… we have yet to move beyond rallies, marches and whatever/whoever is the latest trying to increase awareness to actually strategizing, exploring alternatives or creating a blueprint that addresses the root causes of crime and poverty. We keep turning to the people who created, turned a blind eye or benefit from our condition.<br><br>Peace rallies, marches and rides are a temporary escape.. a way to feel something is being done, but they don’t acknowledge, address or offer any solutions. Its time to move beyond. Like this… we have yet to move beyond rallies, marches and whatever/whoever is the latest trying to increase awareness to actually strategizing, exploring alternatives or creating a blueprint that addresses the root causes of crime and poverty. We keep turning to the people who created, turned a blind eye or benefit from our condition. Peace rallies, marches and rides are a temporary escape.. a way to feel something is being done, but they don’t acknowledge, address or offer any solutions. Its time to move beyond. 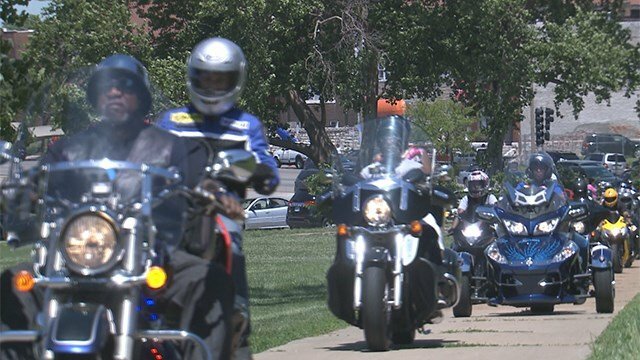 Hundreds of motorcyclists filled the streets of north St. Louis for a “Peace Ride” held by Better Family Life. Had an interesting discussion with Dr Reynaldo Anderson about “movement addiction”, people needing a fix, to do something, anything, always fiening for the next… folks being stuck in a timewarp trying to recreate what happened organically in 2014 and failure to ‘upgrade’ their thinking. Not a day goes by that I don’t see symptoms of this in my feed.. the frustration when ‘what they do’ doesn’t produce the anticipated results and the anger when reality replaces the romanticized, feel good, quick fix, short term, ‘you don’t need to study’, leap without looking notions they were sold about movement work. Many approach the struggle as a sprint instead of a marathon and are burning themselves out. Fam… change starts with a shift in our thinking, understanding there are no feel good, band aid or quick fix solutions. We are years away from seeing the fruits of our labor, in some cases decades or more because many, for reasons I previously described, are unwittingly working in ways that are counterproductive to our advancement … and keep us fighting the same battles, the same way over and over again.